Every day, an organization must make a multitude of decisions – big and small – that affect how it operates. If these operational decisions are incorrect, you can increase risk exposure and decrease profitability. 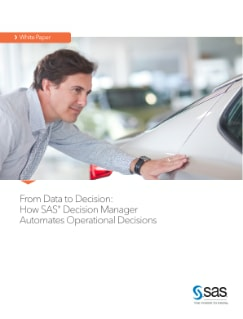 This paper describes how SAS Decision Manager works, explaining how the benefits of automated decisions can help organizations by modernizing operational decision environments.